Detectives investigating a sexual assault on a young girl in Crawley believe that occupants of a car which drove past at the time may have valuable information. 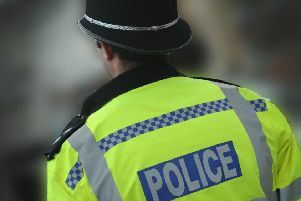 Between 7pm and 7.30pm on Saturday June 2 the 16-year-old girl was sexually assaulted as she walking along West Street, off Springfield Road in Crawley. Investigator Lauren Chapman said: “We are particularly interested in a black car which may have passed the incident, without the occupant or occupants realising exactly what was happening. “If you were in that car, or if you were in the area and saw anything suspicious, please contact us online or call 101, quoting serial 1571 of 02/06. A 29-year-old man has been arrested on suspicion of sexual assault and after being interviewed has been released under investigation.